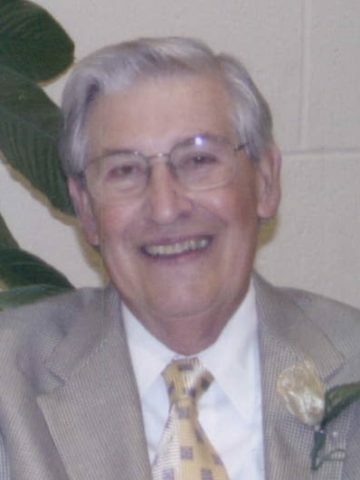 Clayton David Gentry passed away Sunday, February 3, 2019 at his home. He was born to the late C. Houston Gentry and Rowena Gentry on March 21, 1935 in Bold Springs, TN. He was a lifelong member of West Nashville Cumberland Presbyterian Church where he taught Sunday School for 42 years. Clayton honorably served his country in the United States Army and then the Army Reserves for years to come. Clayton was employed by National Life Insurance Company for 38 years, where he retired as Vice President. He was an avid Nascar racing fan. He also enjoyed traveling to Nascar races and owning and working on race cars. Along with racing, Clayton was a Vanderbilt University sports fan. Along with his parents, Clayton is preceded in death by his loving wife of 63 years Mattie Osborne Gentry. He is also preceded in death by his sister, Helen Faye Gentry Long; niece, Stacy Johnson; nephew, Billy Shaffer; and his brother-in-law, Ray Payne. Clayton is survived by his brother, Richard Gentry (Margaret), sister, Nancy Gentry Payne; and nieces, Cindy Shaffer and Bethany Gentry. He is also survived by his two sister-in-laws, Shannon Osborne and Emma Phillips; and special friends, Pat Maberry, Jaunita Eller, Ken Covington, and caring staff at Rolling Hills Healthcare. A Celebration of Life will be held on Wednesday, February 6, 2019 at 12:00pm at West Nashville Cumberland Presbyterian Church with Rev. Rickey Page officiating. Visitation will be held on Tuesday, February 5, 2019 from 5:00pm until 7:00pm at West Harpeth Funeral Home and again on Wednesday, February 6, at the Church from 11:00am until the hour of service. Clayton will be laid to rest beside his wife at Harpeth Hills Memory Gardens. Pallbearers are: Jeff Smith, Charles Smith, Paul Hyde, Jim Crowell, Bill Maberry, Billy Maberry, Butch Maberry, and Ken Covington. Honorary pallbearers are: Wade Story, Donnie Clark, Ronnie Anderson, Bob Bell, Bobby Locke, Jerry Knapper, Paul Franklin, and Paul Knight. Never heard a negative word about Clayton. A great guy, who will be missed. Clayton and Mattie were wonderful people together and apart. I will miss them both.